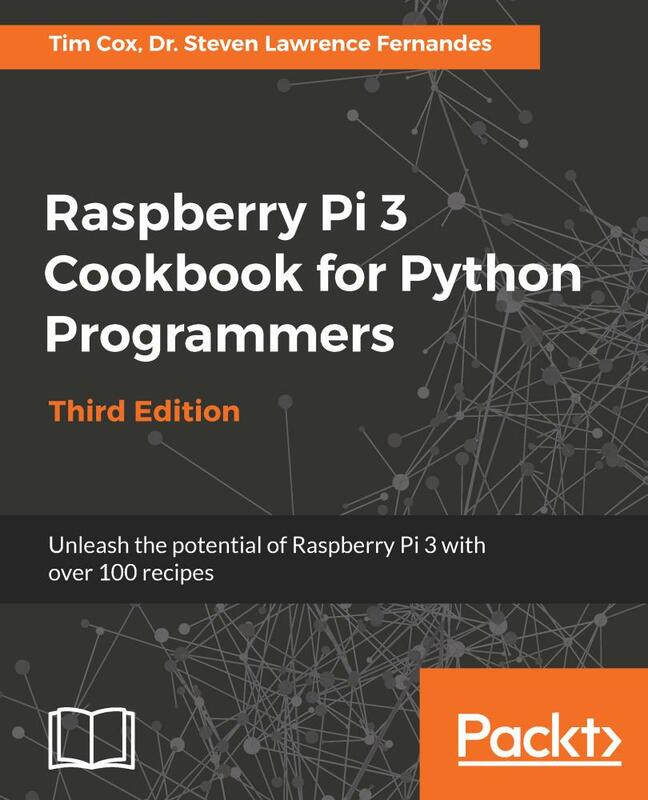 Raspberry Pi 3 Cookbook for Python Programmers – Third Edition begins by guiding you through setting up Raspberry Pi 3, performing tasks using Python 3.6, and introducing the first steps to interface with electronics. As you work through each chapter, you will build your skills and apply them as you progress. You will learn how to build text classifiers, predict sentiments in words, develop applications using the popular Tkinter library, and create games by controlling graphics on your screen. You will harness the power of a built in graphics processor using Pi3D to generate your own high-quality 3D graphics and environments. You will understand how to connect Raspberry Pi’s hardware pins directly to control electronics, from switching on LEDs and responding to push buttons to driving motors and servos. Get to grips with monitoring sensors to gather real-life data, using it to control other devices, and viewing the results over the internet. You will apply what you have learned by creating your own Pi-Rover or Pi-Hexipod robots. You will also learn about sentiment analysis, face recognition techniques, and building neural network modules for optical character recognition. Finally, you will learn to build movie recommendations system on Raspberry Pi 3. Dr. Steven Lawrence Fernandes has Postdoctoral Research experience working in the area of Deep Learning at The University of Alabama at Birmingham, USA. He has received the prestigious US award from Society for Design and Process Science for his outstanding service contributions in 2017 and Young Scientist Award by Vision Group on Science and Technology in 2014. He has also received Research Grant from The Institution of Engineers. He has completed his B.E (Electronics and Communication Engineering) and M.Tech (Microelectronics) and Ph.D. (Computer Vision and Machine Learning). His Ph.D work Match Composite Sketch with Drone Images has received patent notification (Patent Application Number: 2983/CHE/2015). Chapter 14: Can I Recommend a Movie for You? 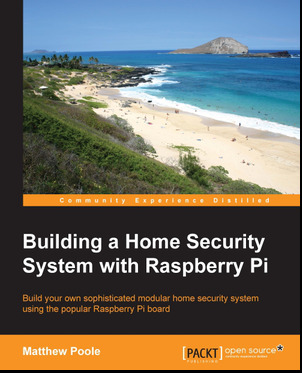 This book is for anyone who is interested in building a modular home security system from scratch using a Raspberry Pi board, basic electronics, sensors, and simple scripts. 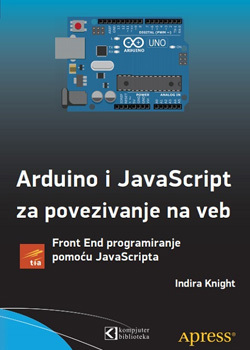 This book is ideal for enthusiastic novice programmers, electronics hobbyists, and engineering professionals. It would be great if you have some basic soldering skills in order to build some of the interface modules. Kreiraćete fizičke interfejse koji komuniciraju sa Internetom i veb stranicama. 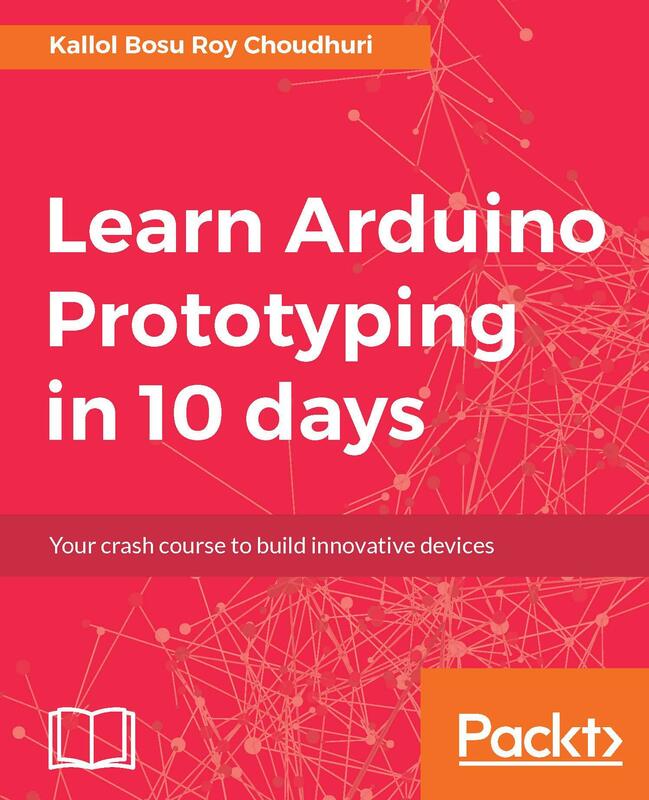 The ultimate power-packed crash course in building Arduino-based projects in just 10 days!